Advancing a radically enactive account of cognition, we provide arguments in favour of the possibility that cultural factors permeate rather than penetrate cognition, such that cognition extensively and transactionally incorporates cultural factors rather than there being any question of cultural factors having to break into the restricted confines of cognition. The paper reviews the limitations of two classical cognitivist, modularist accounts of cognition and a revisionary, new order variant of cognitivism – a Predictive Processing account of Cognition, or PPC. It argues that the cognitivist interpretation of PPC is conservatively and problematically attached to the idea of inner models and stored knowledge. In abandoning that way of understanding PPC, it offers a radically enactive alternative account of how cultural factors matter to cognition – one that abandons all vestiges of the idea that cultural factors might contentfully communicate with basic forms of cognition. In place of that idea, the possibility that culture permeates cognition is promoted. Full paper available for download here. 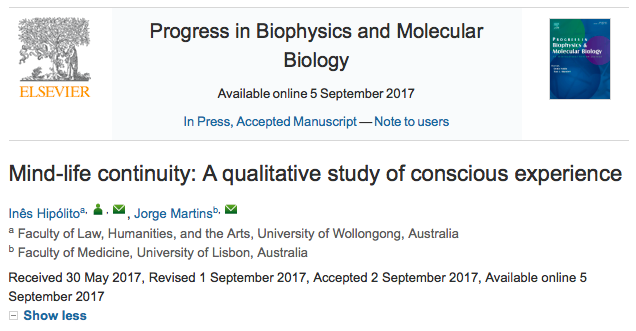 Already available online my paper co-authored paper with Jorge Martins, on "Mind-life continuity: qualitative study of conscious experience", published by Progress in Biophysics and Molecular Biology. We focused on the mind-life continuity thesis and the autopoietic account, which requires a reciprocal influence and determination of first- and third-person accounts. In this paper, we studied phenomenal data as a crucial fact for the domain of living beings, which, we expect, can provide the ground for a subsequent third-person study. We are very thankful to the special contributions of Teresa Rodrigues from IMM, Faculty of Medicine, University of Lisbon, Portugal; Nuno Rosa, Maria Jose Correia, and Marlene Barros from the Institute of Health Sciences (ICS), Center for Interdisciplinary Research in Health (CIIS), Universidade Católica Portuguesa, (Viseu, Portugal); and Mário Simões from LIMMIT lab, Faculty of Medicine, and Mind-Brain College, from the University of Lisbon, Lisbon, Portugal. 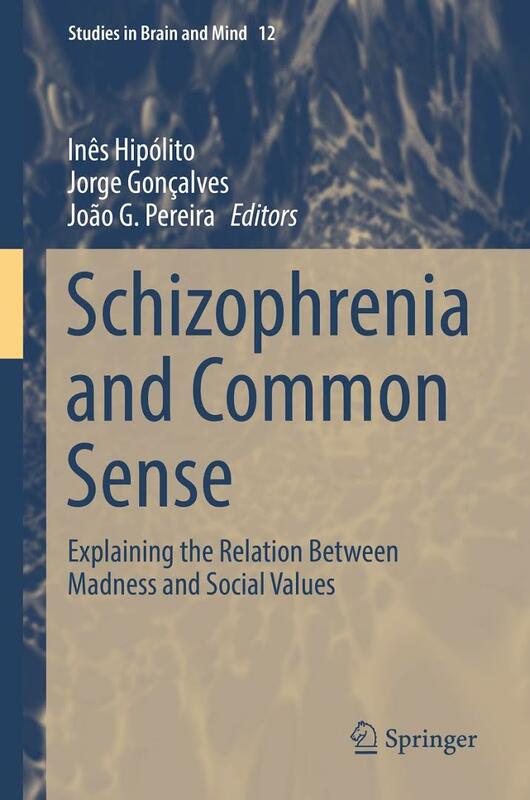 The authors also wish to thank Michael Kirchhoff for his insightful comments on the paper, and the Lisbon Wide Minds Group for the fruitful discussion during the presentation of the project at Nova University of Lisbon. The authors would like also to thank the important comments of the reviewers, and the patience of the editors. Inês Hipolito would like to acknowledge that this paper was made possible by an International Postgraduate Award from the University of Wollongong, Australia. There are two fundamental models to understanding the phenomenon of natural life. One is the computational model, which is based on the symbolic thinking paradigm. The other is the biological organism model. The common difficulty attributed to these paradigms is that their reductive tools allow the phenomenological aspects of experience to remain hidden behind yes/no responses (behavioral tests), or brain ‘pictures’ (neuroimaging). Hence, one of the problems regards how to overcome methodological difficulties towards a non-reductive investigation of conscious experience. It is our aim in this paper to show how cooperation between Eastern and Western traditions may shed light for a non-reductive study of mind and life. This study focuses on the first-person experience associated with cognitive and mental events. We studied phenomenal data as a crucial fact for the domain of living beings, which, we expect, can provide the ground for a subsequent third-person study. The intervention with Jhana meditation, and its qualitative assessment, provided us with experiential profiles based upon subjects' evaluations of their own conscious experiences. The overall results should move towards an integrated or global perspective on mind where neither experience nor external mechanisms have the final word. We invite chapter contributions for the volume “The Mind-Technology Problem – Investigating Minds, Selves and 21st Century Artifacts” forthcoming in the book series Studies in Brain and Mind (Springer). This book explores the relation between philosophy of mind and emerging technologies. Technologies that only recently seemed to be science fiction are becoming part of everyday life. Our life is increasingly saturated with 'smart' artifacts. The ubiquitous and mobile Internet amounts to a radically new epistemic and cognitive environment which we already inhabit. This smart environment is saturated with artificial intelligence systems that not only guide us to information on the Internet, but are transforming the way we inhabit the non-virtual realm: the home, the urban environment and beyond. In the process, these technologies may be viewed as a form of rapidly evolving cognitive enhancement (Schneider, 2016, Heersmink, 2015). They may also be radically changing the human cognitive profile (Schneider and Mandik, 2016, Clowes, 2015; Clark, 2007) including the possibility of mind uploading (Corabi and Schneider, 2012). Some see these trends as deeply worrying, undermining a raft of our cognitive and social capacities (Carr, 2010; Turkle, 2011). Others see the relationship as a more of a continuum with the long history of artifactually led, cognitive evolution of human beings (Malafouris, 2013; Clark, 2003). These technologies appear to have important implications for the human mind, sense of identity and even perhaps what we think human beings are. Other technological tendencies may stretch our ideas further toward super-intelligence, (within the skin) cognitive enhancements, and more distantly perhaps, machine consciousness. Yet while ideas of artificial general intelligence, cognitive enhancements and a smart environment are widely commented on, a serious analysis of their philosophical implications is only now getting started. In this edited volume, we seek the best philosophical analysis of what current and near future 21st technology means for the metaphysics of mind. Some of the questions still open include: Should the adoption or incorporation of current technologies, such as smart phones or wearable gadgets be viewed as enhancements or diminishments of the human mind? Or is such a framework too restricted? Might they transform the sorts of self-knowledge available to us, or what self-knowledge is? Might the use of such gadgetry force us to rethink the boundary between human beings and technology, or indeed enduring philosophical questions such as personal identity or what the self is? According to various theories of personal identity, are radical cognitive enhancements even compatible with personal survival? In thinking about minds, there is a common tendency to define the ontological status of the mind in terms of whatever is the latest technology. The computational model of mind has certainly been one of the most influential and is currently undergoing important challenges and challenging reinventions (Schneider and Mandik, 2016). Is the notion that the mind or self as a program, which often guides public and philosophical discussions, metaphysically well founded? Whether or not our minds are actually computational, our ability to interface with machines, from virtual reality technologies such as Oculus Rift to our smart-phones and wearable gadgetry, are undergoing a profound shift and are rapidly reshaping the metaphors and concepts philosophers use to think about minds and the conclusion they draw (Metzinger, 2009; Chalmers, 2007). · How should we think of distributed and extended memory in the context of 21st century technology? · Can artifacts make possible new forms of extended self-knowledge? What are the consequences of artifacts—for instance, the ubiquitous smart-phone—for notions such as the minimal self, the narrative self, or the distributed self? · What is the role of cognitive artifacts in the cognitive enhancement debate? · Does the current state of the art of machine consciousness, brain enhancement or smart ambient technology warrant predictions and extrapolations on questions like personal identity, privacy, super intelligence, etc. many want to make? · Does current work in this realm tell us anything about phenomenal consciousness? The organization of mind? The possibility of artificial minds? · Do hierarchical predictive processing systems support the theoretical literature on the metaphysics of mind (mind, big data, minds online, deep minds)? · Would an uploaded mind be me? Is mind uploading a myth? · Does radical brain enhancement challenge our sense of self, personal identity and / or humanity? Papers should not exceed 8,000 words. Please send your contributions to hipolito.ines@gmail.com. Chalmers, D. (2007). Forward to Supersizing the Mind Supersizing the Mind: Embodiment, Action and Cognitive Extension. Oxford: Oxford University Press. Clark, A. (2003). Natural Born Cyborgs: Minds, Technologies and the Future of Human Intelligence. New York: Oxford University Press. Clark, A. (2007). Re-inventing ourselves: The plasticity of embodiment, sensing, and mind. Journal of Medicine and Philosophy, 32(3), 263-282. Clowes, R. W. (2015). Thinking in the cloud: The Cognitive Incorporation of Cloud-Based Technology. Philosophy and Technology, 28, Issue 2,(2), 261-296. Corabi, J., & Schneider, S. (2012). Metaphysics of Uploading. Journal of Consciousness Studies, 19 (7):26. Heersmink, R. (2015). Extended mind and cognitive enhancement: moral aspects of cognitive artifacts. Phenomenology and the Cognitive Sciences, 1-16. Malafouris, L. (2013). How Things Shape the Mind: MIT Press. Metzinger, T. (2009). The Ego Tunnel: The Science of the Mind and the Myth of the Self: Basic Books. Schneider, S. (Ed.). (2016). Science fiction and philosophy: from time travel to superintelligence. John Wiley & Sons. Schneider, S., & Mandik, P. (2016). 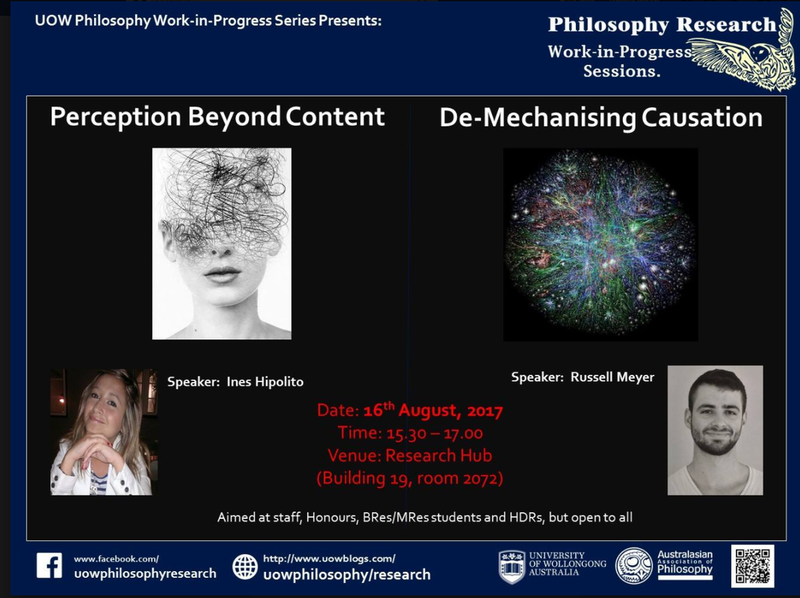 How philosophy of mind can shape the future. Philosophy of Mind in the Twentieth and Twenty-First Centuries. London: Routledge. Researchers, practitioners, clinicians and other professionals from Australia and internationally are invited to submit abstracts for presentation at the 2017 Neuroscience & Society Meeting in Sydney, Australia. The meeting will feature a wide range of exciting scientific lectures and ethical, philosophical and legal discussions, with numerous networking opportunities with experts, researchers, and emerging leaders in the field of neuroethics and neurolaw. Abstracts are invited from those working in the fields of ethics, law, neuroscience, mathematics and engineering, psychology and psychiatry, philosophy, allied health care, and public policy. Abstracts of an empirical, legal, and philosophical nature related to the field of neuroethics are welcomed. Investigators at all career stages are encouraged to submit one or more abstracts. Abstracts will be peer reviewed and acceptance will be based on content, available space, and overall program balance. A small number of selected abstracts will be invited for an oral presentation. Other selected abstracts will be invited for a poster presentation. Selected papers will be invited to be submitted to a special issue of the journal Neuroethics. All papers will undergo peer review — an invitation will not guarantee publication. Enquiries may be emailed to Adrian Carter or Jeanette Kennett. More info and abstract submission here. Anatomy of Language: can we understand language games from cortical networks? Already online my paper “Anatomy of Language”. I’m thrilled with this paper because it is the first one I write and publish in my mother thong, the Portuguese. It is significant topic because the paper attempts to draw an evaluation upon the empirical methods and theoretical frameworks adopted in the study of metaphor. The perspective in this paper was particularly to look at the conception of metaphor in neuroscience and psycholinguistics, against the notion of language games. The major aim was to see whether this notion of metaphor as a language game remained hidden, or not, from empirical lenses of behavioural paradigms (e.g. times response), and brain pictures (imagiology). The linguistic turn could not anticipate that the 21st century would be dominated by cognitive states of linguistic encoding penetrating propositional attitudes, - even in the case of metaphors. Wittgenstein, on his return to philosophy, did substitute the conception of language as exclusively a set of axioms, and meanings of truth conditions by the notion of language games and forms of life. I guess he would agree with our Portuguese poet, there are metaphors, which are more real than the people walking on the street (BS, Book of the Disquiet). I am thankful to the editors of Kairos, and, of course, to the reviewers who helped me bringing my ideas into clarity. Já se encontra disponível online o meu artigo “Anatomia da Linguagem”. 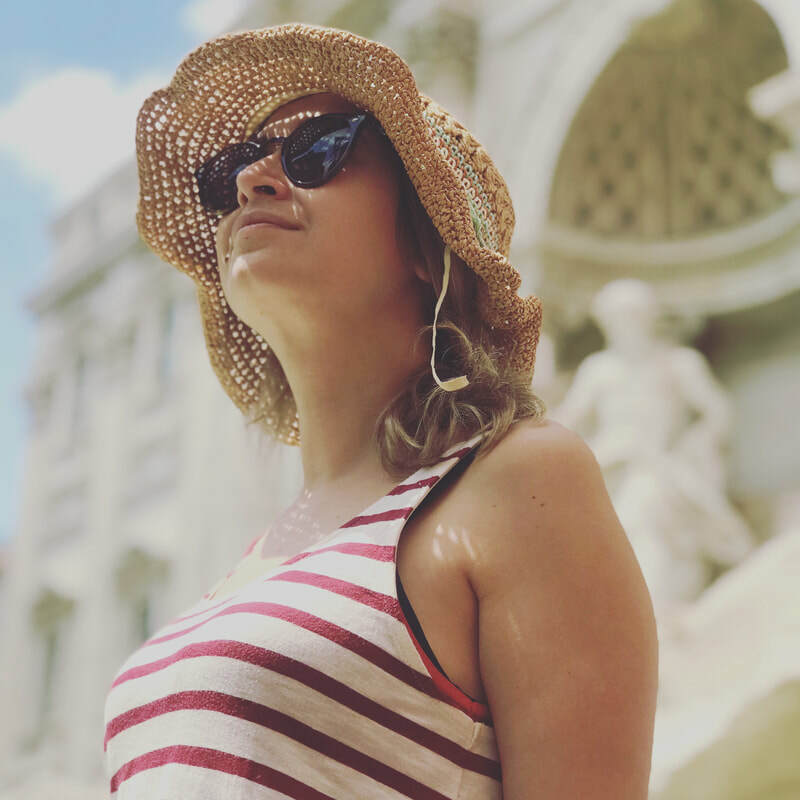 Estou muito feliz com este artigo por ser o primeiro artigo que escrevo e publico na minha língua materna, o português. Parece-me um tema relevante porque tenta fazer uma avaliação sobre os métodos empíricos e enquadramentos teóricos utilizados para o estudo da metáfora. A perspectiva neste artigo foi sobretudo olhar para a concepção de metáfora adoptada na neurociência e psicolinguística e compará-la coma sua concepção enquanto "jogos de linguagem". O objectivo foi perceber se a dimensão de jogo de linguagem ficava, ou não, escondida por detrás de paradigmas comportamentais (tempos resposta) e imagens cerebrais (imagiologia). A viragem linguística não podia antecipar que o século XXI da ciência cognitiva ficaria dominado por estados cognitivos de codificação linguística a penetrar atitudes proposicionais, - até mesmo no caso da metáfora. Wittgenstein, no seu regresso a Filosofia, substituiu a concepção da linguagem como exclusivamente um conjunto de axiomas e de significados de condições de verdade pela noção de jogos de linguagem e formas de vida. Parece-me que ele concordaria com o nosso poeta, que nos diz, há metáforas mais reais do que a gente que anda na rua (BS, Livro do Desassossego). Estou grata aos editores da Kairos e, claro, à preciosa ajuda dos revisores por me ajudarem a tornar mais claras as minhas ideias. Academics and post-graduate students from Macquarie University, The University of Sydney and The University of Wollongong presented their research on Sydney Philosophy of Psychology, 2017. The volume aims to familiarise experimental philosophers (professional academics, graduate students, and advanced undergraduates) with empirical methods that go beyond questionnaire-based surveys and experiments, and to explore the contribution these methods can make to current and traditional debates in philosophy. Methods of interest include, but are not limited to, methods from cognitive psychology, cognitive neuroscience (e.g., fMRI), psycholinguistics (e.g. eye tracking, ERP), computational linguistics and the digital humanities more widely (data mining, etc. ), as well as behavioural economics. Contributions should illustrate the use of a particular method or set of methods in experimental philosophy either by reporting a fresh study, or by reference to recent studies run by the author(s) and others, or ideally by a combination of the two. Studies that combine such ‘alternative’ methods with more familiar questionnaire-based approaches are welcome. Contributions should provide accessible explanations of the ‘alternative’ methods used, with discussion of their strengths and limitations. Each chapter should combine presentation, demonstration, and discussion of a chosen (set of) method(s) with an explanation and assessment of the contribution made to traditional philosophical concerns or ongoing philosophical debates. Contributions to any area of philosophy are welcome, provided the concerns or debates at issue are of reasonably general interest. Contributions to the Concept Project (studying concepts and folk theories) and Warrant Project (studying the evidentiary value of intuitions) would be particularly welcome. Confirmed contributors include Shaun Nichols, Mark Alfano, Arianna Betti, Cailin O’Connor, Eugen Fischer, Matthew Inglis, Jonathan Livengood, Eric Schwitzgebel, Justin Sytsma, and Jen Cole Wright. The default word limit for submitted papers is 10,000 words. Deadlines: 500-word abstracts to be submitted to the volume editor before July 1st, 2017. Chapters will be due by January 31, 2018.